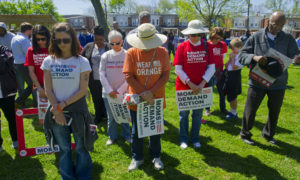 (Cherry Hill, NJ) – Due to rain and possible thunderstorms forecasted for Saturday, June 2, the upcoming National Gun Violence Awareness Day concert and rally at Wiggins Waterfront Park will be rescheduled. National Gun Violence Awareness Day was first recognized in 2015 on what would have been the 18th birthday of Hadiya Pendleton, a Chicago high school student who was killed by gunfire in 2012. Hadiya had marched in President Obama’s second inaugural parade just days before her death. Following the shooting, Hadiya’s friends decided to honor her life by wearing orange – the color hunters wear in the woods to protect themselves and others. For more information about National Gun Violence Awareness Day, and the rescheduling of this event, please visit camdencounty.com.